Now, I found this post worth writing for my dear juniors and myself naturally. Opencv uses CUDA to run code on GPU. CUDA library is however only available for Nvidia graphic cards and there is a wide range of NVIDIA graphic cards that support CUDA. https://developer.nvidia.com/cuda-gpus mentions various cuda enabled GPU. With every CUDA-enabled GPU processing would occur at different computational capability. Now the first category of NVDIA GPU is “Tesla”. Telsa series represent best of all NVDIA GPUs. But with high performance, they come with a large bill. Each telse gpu costs around few thousand dollars. Hence, I had stop searching more about tesla gpus for obvious reasons. The budget is also a concern. It is the major reason why we can not afford Tesla series. Now, Geforce and QuadPro products are of our interest. Geforce series represent GPU specially designed more for gaming purposes. 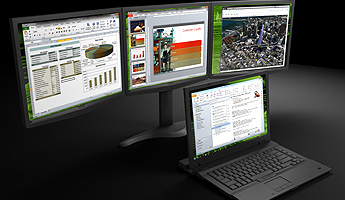 Whereas, QuadPro series is designed for a more professional use like CAD with a workstation. www.nvidia.com/object/ quadro _ geforce .html ‎ explains advantages of quadpro over GeForce. However with list of advantages quadpro comes with greater cost too. Price of entry lever QuadPro GPU is comparable to mid-range GeForce GPU. Thus GeForce may perform better than QuadPro on the basis on cost of product. Thus for a specific economic range, there will always be GTX card with better hardware specs then the QuadPro. However, major difference lies in the fact that GTX cards are majorly designed for gaming. However, they can still meet our requirements. On a blog post at http://www.timzaman.com/?p=2256 , author compares various GPUs for few openCV functions. He concludes as, “ In terms of value for money, the GTX 670 (€400) with 2Gb of RAM is very nice. There is absolutely no reason to buy the GTX 680 since it costs € 100 more. Then again, the GTX 570 costs €300, which is nice, but only has 1,25Gb RAM, which can be dangerous when working with large images (nasty errors). Its Amazon after-all, not Google!